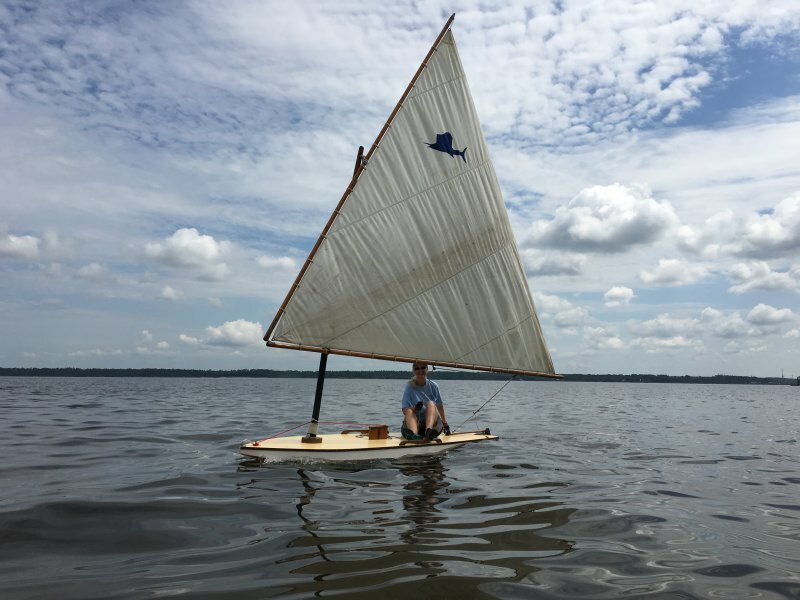 Winnie is an Alcort Standard Sailfish built in the 1950s in Waterbury, CT. She came to us mid restoration from New York, we painted her and put her back together. She will sail in a whisper of a breeze and keeps you on your toes when the breeze picks up. She calls the warm waters of NW Florida home now.